Windows cannot find the file. 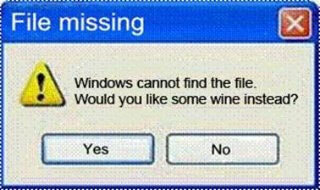 Would you like some wine instead? Created about 7 yrs, 26 days ago (March 27, 2012). Updated about 7 yrs, 26 days ago (March 27, 2012).